Last year was chock-full for us. We traveled over 30,000 miles, worked at 101 different job sites, flew to Montana to help Mom get settled into her “Last Best Place”, purchased a motor home, damn near froze to death in the coldest winter in over 100 years and recommitted to staying with our jobs for at least 5 more years. Blogging had become more of a chore to me in late 2012, so I simply decided to not commit to this blog in 2013. I did enjoy the blog posts of others, along with more time on Facebook. I volunteered to admin 6 FB groups – all RV related – and have shared more RV tips N tricks on FB than I can remember. 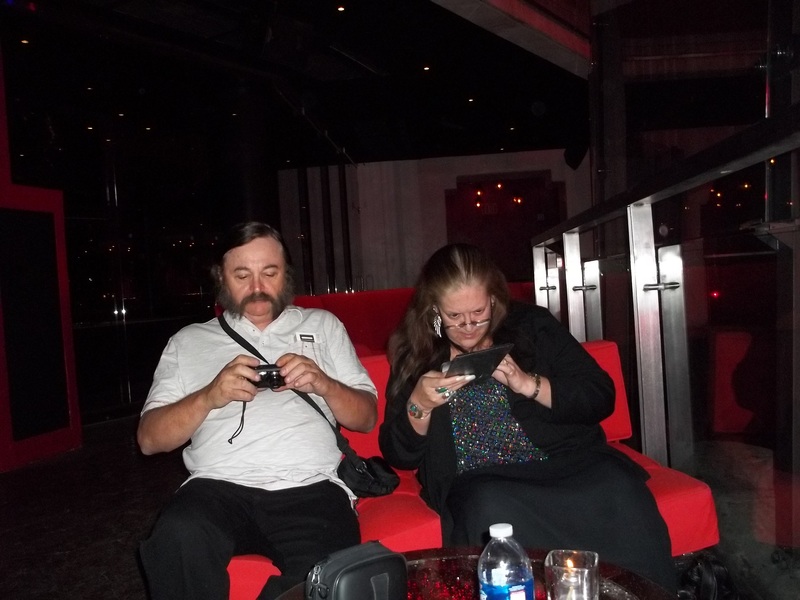 We even met some FB friends in person (THAT was fun!) and discovered new RV parks and apps too. For 2014 now that I have a permanent desk in the RV, I can get back to blogging – but only every now and then, so don’t expect a daily report from me! We work full-time, moving every few days to our next location. I handle all the logistics, reservations and lead the 2-vehicle caravan using the GPS app on our smart phones. On weekends, I appreciate some down time and we don’t have satellite TV – by choice. My blog posts now will be more of a review format – of places we have seen that are worth my taking time to write about. There are so many RV bloggers now that it boggles my mind – in comparison to just a few years ago. Many of the blogs I follow have committed to writing every day – and that is their decision. But when there is nothing to really write about, other than to say what we had for dinner or who we talked with I don’t see the need to blog about it. I am choosing quality over quantity. Many folks have realized that we have to design the lives we want, rather than wait for it to come along …someday. DES MOINES WATER WORKS – working at the historic Des Moines Water Works was a real treat. This business was started back in the late 1800’s by private investors. Back then, the City of Des Moines thought they should get their water for free, so they NEVER paid their bills, which eventually forced the private company to sell out to the City. Sounds kind of like Mafia tactics to me …. but apparently it worked “back in the day”. DMWW have thankfully (and thoughtfully) preserved their historic buildings and it was a thrill to have a private tour by Safety Manager RW Smith after our work was completed. The original terrazzo floors, glazed brick tile walls, polished granite countertops, HUGE glass block windows and long hallways housing the filter pools were so exciting to see. You could FEEL the commitment to detail these old buildings exuded. Pride of construction was everywhere. Even many of the pumps and water fountains installed over a century ago are still in use today. Some, but not all of the machinery has been upgraded over the years, because of flooding of the Raccoon River, which provides much of the source water. Those original visionaries even offered SOFTENED water to their customers, and DMWW still does today. We really appreciated the soft water while staying in a nearby hotel. DMWW spends much of its revenue protecting and maintaining VERY nice park grounds which are well landscaped, along with a landscaped median down Fleur Drive. It was early March when we visited, so we were NOT able to enjoy the flowering trees in the arboretum, which bloom in May. I can only imagine how fabulous they are, but will definitely put THIS park on our travel route if possible during bloom season. Why travel all the way to Washington, DC with a show like THIS out west ? And …because just 5 miles west of Des Moines Water Works’ 1500 acre complex is the Walnut Woods State Park, which offers spacious paved full hook-up RV sites under the shade of Walnut trees. It’s hard to believe with these 2 wonderful natural settings, you are in the Des Moines, Iowa city limits. To see more of my pictures of the historic Des Moines Water Works buildings on our Picasa web album, click here. Route 66 – The Mother Road … so many icons from its’ heyday are still visible or in use today. And visiting many of them is on our bucket list. Some of our friends and family members can remember travelling Route 66 “back in the day”. The old “filling stations” and roadside cafes we have seen on calendar pages and blogs symbolize the freedom of travel and exploration to many of us. As such Terry and I have made an effort to check out some of the locations in person as we travel the heartland. While working in Oklahoma in January, 2012, we discovered many of the Route 66 places are a short drive off the main highway, or on our way to a work project, so we stopped. MIAMI, OK – when we first arrived in town for a 2 day job, we passed right by Waylan’s Ku Ku Burgers so made that our first Route 66 experience. Later that evening we visited the Coleman Theater beautiful, but since it was after hours, we couldn’t go inside. TULSA, OK – There are many, many Route 66 resources easily reached by a google search. Our recommendation is to do a little preliminary research and then either go see them, or at least put it on your bucket list like we did. We drove thru the historic Fairgrounds and saw their homage to the oil industry started in the area, and enjoyed a meal at a historic Route 66 diner. In Kansas for a few jobs, we toured quite a few fifth-wheel RVs at the Nu Wa factory. Nu Wa RVs are highly rated for full-time living and they reburbish traded-in RV’s to resell on their used lot. It’s a great source for those looking for a full-time RV and need or want to save on the dealer mark-up. Nu Wa also done sales prep for CrossRoads RV’s. In Missouri, we walked thru brand new Open Range RVs and were really impressed. I really like the front living room RV floorplan, but am not interested in the Montana by Keystone. The Joplin RV dealer we visited also has a very nice RV park behind the dealership that we would stay in when back in the area. When in Omaha, Nebraksa we discovered an authentic Cuban restaurant, Gusto’s Cuban Café – that was a real thrill for me, because I am of Cuban decent. It has been almost 10 years since I left Miami, Florida so I have REALLY REALLY been missing the local food. Cuban food is completely different than Mexican food. Cuban food is seasoned similar to carribbean food, and it is not spicy, like Mexican food. We visited with the owners and thumbed through a 1958 yellow pages directory. 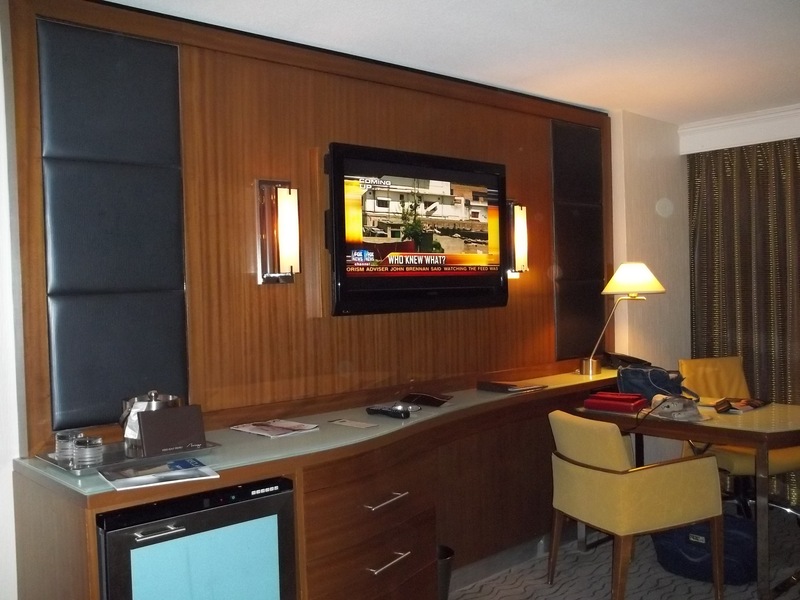 We ended the month back in our favorite hotel stay, Candlewood Suites – Olathe, KS. Having been in and out of KCMO every other month or so, we are able to stock up on our favorite products at the new Trader Joes. We also had RV Anywhere install our repaired propane heater in the testing trailer. We met Mike with RVAnywhere on Facebook and were pleased with his services. 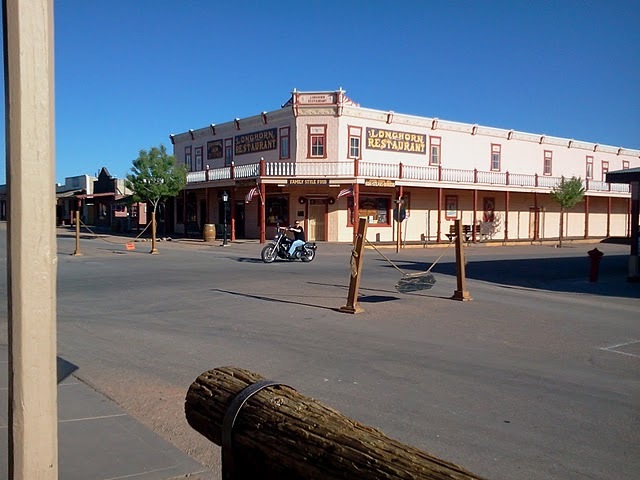 Although we have lived 45 minutes away from Tombstone, Arizona for over 2 years and driven over for steak dinners often, we never visited Tombstone as tourists. 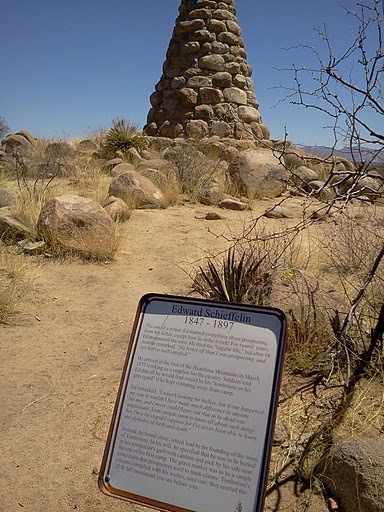 So, we decided it was high time to check out the history and some of the lore of “the town too tough to die”. 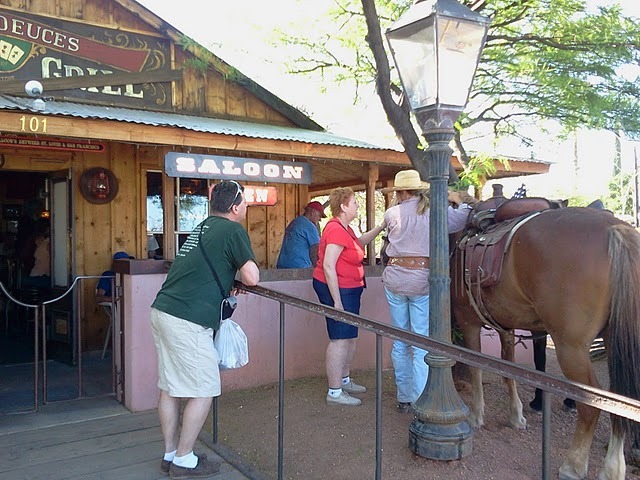 Having checked out other Tombstone RV parks on previous visits, we knew we wanted to stay right in town. There are 4-5 RV Park options, but Wells Fargo RV Park suited us perfectly. $34 for a 30-amp full hook-up site was fine for us. 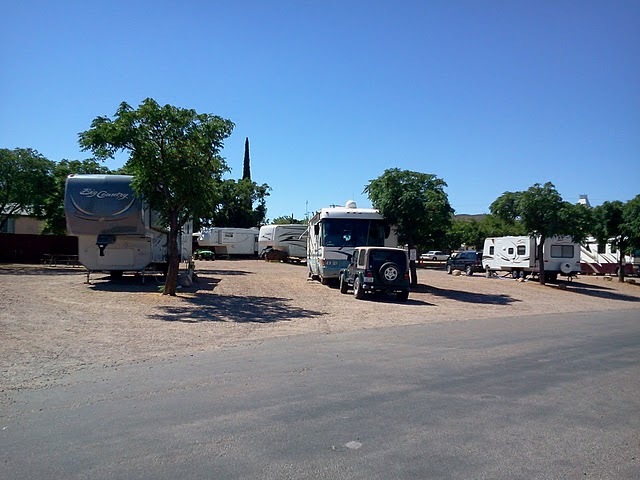 Not only is it right in town – within walking distance to all the places we wanted to see, but consistently is the cleanest and neatest RV Park in Tombstone proper. We were given space 42 – an end space with a nice grassy area under a shady tree. Full hook-ups were conveniently located for our 25’ travel trailer. We’d rate this park a 4 out 5. 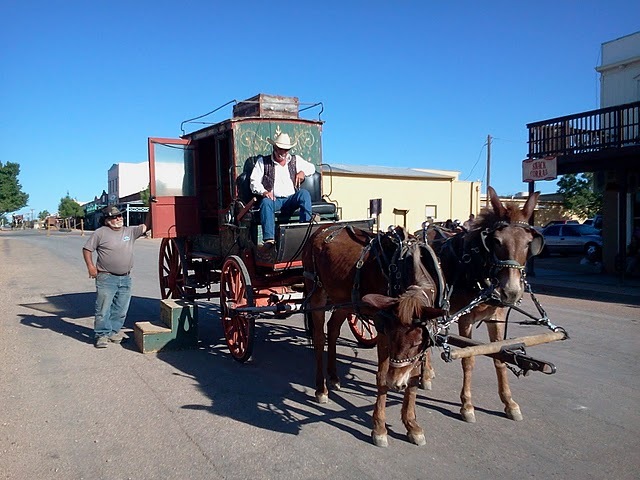 The first tour we did was the authentic Old Butterfield Stage Coach pulled by a team of 21-year old mules. The driver takes us through town pointing out historic buildings and happenings. 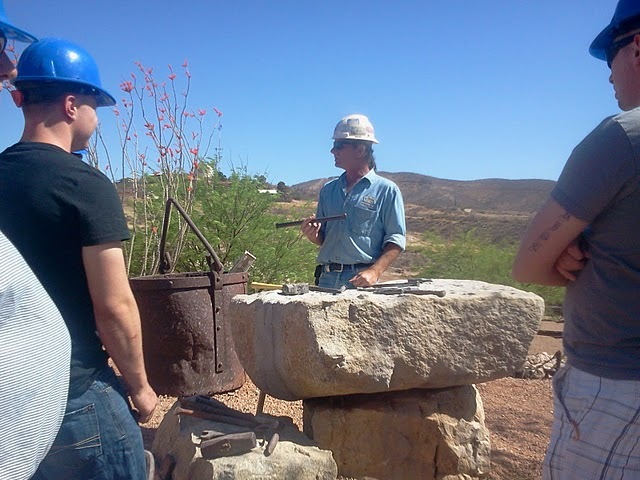 Had we known, we would have taken The Good Enough Mine Tour first, because they give out discount coupons for many of the other tours. 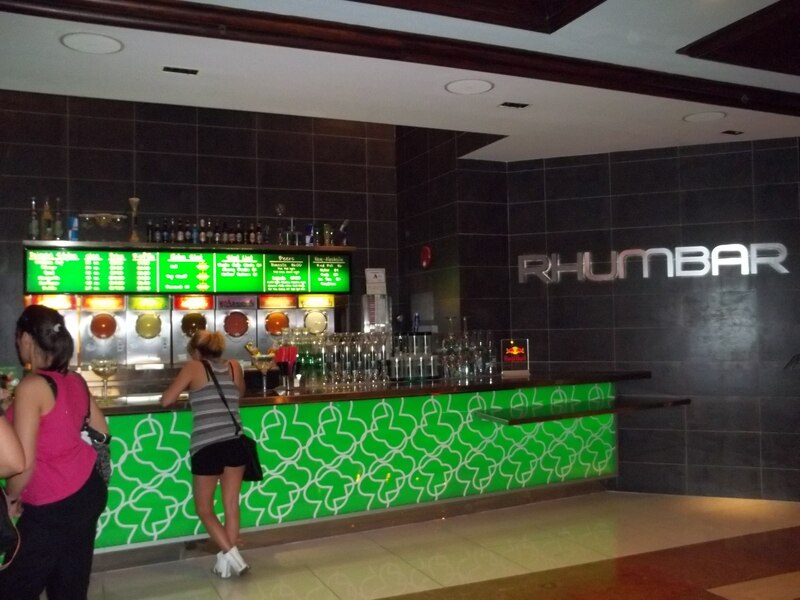 Prices are very reasonable at all our visits – $10 + up per person without discounts. 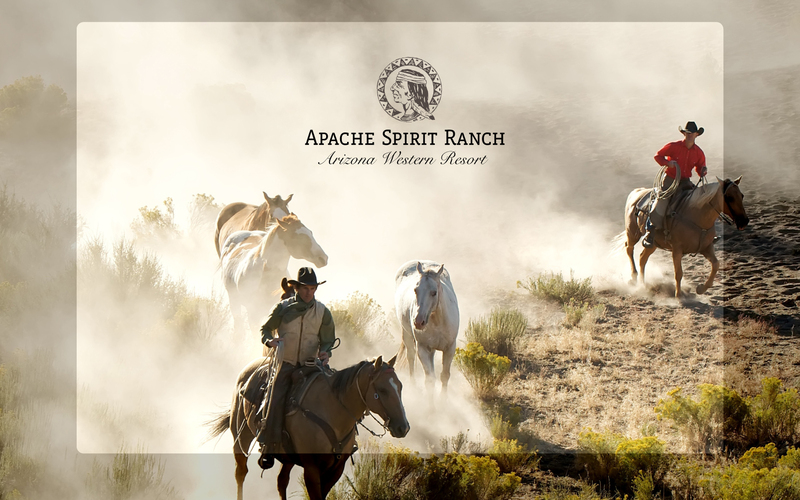 We drove the tow vehicle out of town to The Boothill Graveyard and The Ed Shefflien monument, past the new Apache Spirit Dude ranch. Located just a couple of miles outside of Tombstone on a dirt road it gave us even more of a feel of what life in Tombstone during the late 1800’s must have been like in this high desert landscape – dry, rough and dusty, to say the least. No wonder there were saloons on every street corner! Back at the RV after a nice supper at The Crystal Palace Saloon, we sat outside talking and watching the sun go down. But not for long …. we heard live country music playing at the Four Deuces Saloon and decided to walk the 1/2 block over for a cold beer and a couple sets of singalongs. The next day we walked the few city blocks up and down on rough wooden sidewalks, snapping pictures of the memorials and store fronts along the way. 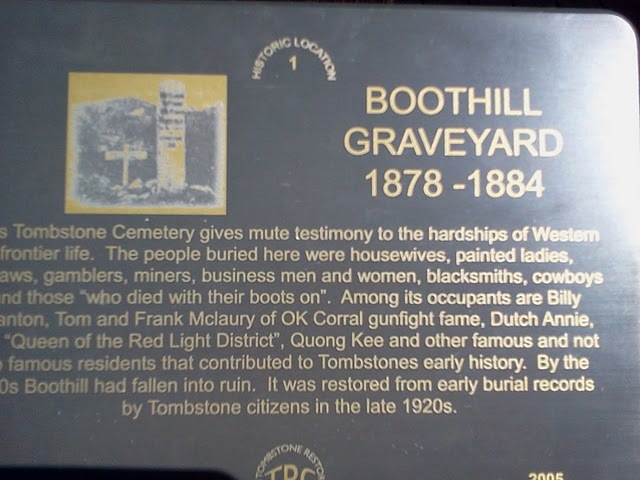 <click for a link to my Picasa web album> What a colorful town Tombstone was back in the late 1800’s! As characters dressed like Wyatt Earp, Doc Holladay, or a “Lady of the Evening” walked the other sides of the street, we almost expected a run-away stage-coach or band of outlaws to come galloping through town. 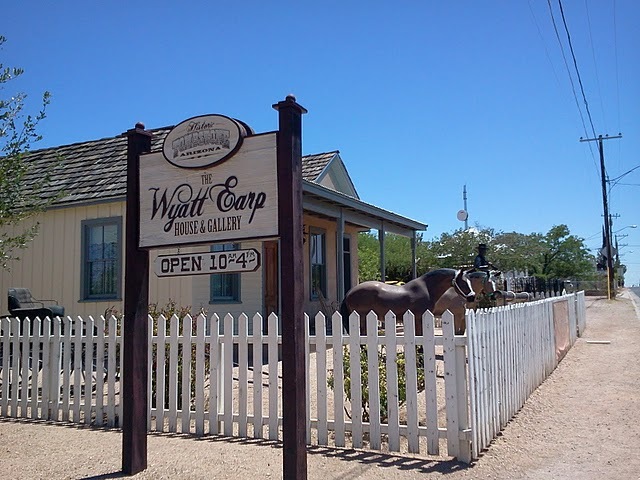 We stopped at The Wyatt Earp house & Gallery, which has been lovingly restored and serves as an art gallery today. Speaking with curator Terri was a joy and we could have spent another 4 hours talking with her. 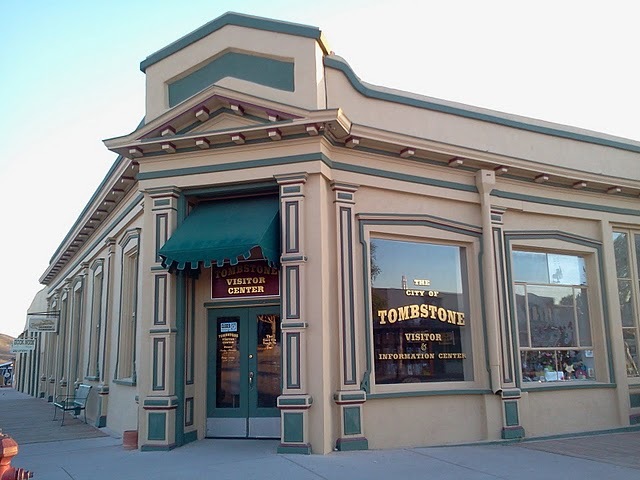 Terri has lived in Tombstone for 30+ years and is married to a Tombstone native. 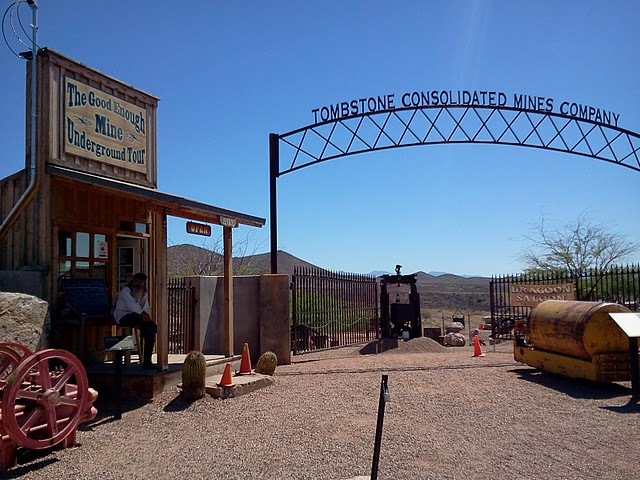 A few folks say (usually the under 30 generation) that Tombstone is “just a tourist trap”, but I totally disagree. What they don’t seem to appreciate is how much money it takes – on a regular basis – to keep a historic building, business or a whole town in service. It also takes a strong passion to keep 1800’s history alive in the economy of 2011. 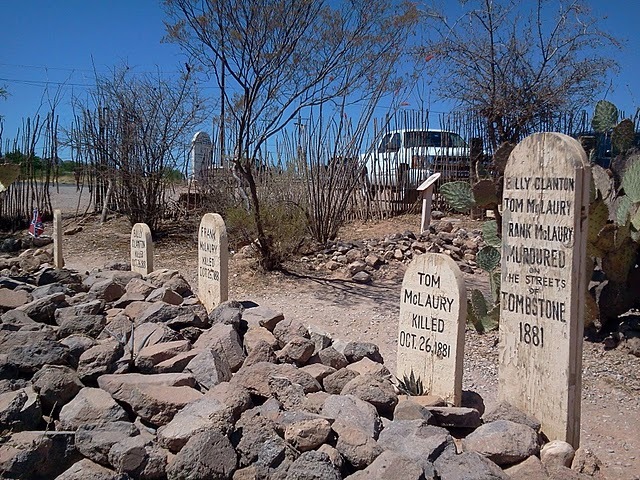 Many of the Tombstone residents have spent a lifetime acquiring, verifying and keeping the traditions of the old west alive for others to enjoy. 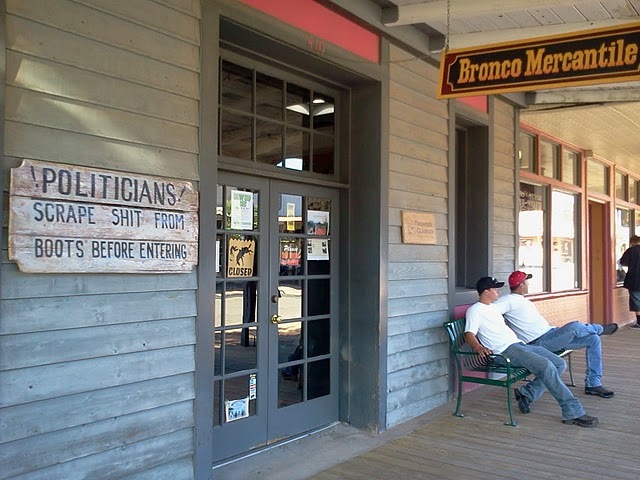 We REALLY appreciate the time and money that has been put into homes & businesses like these to keep alive the feel of an old western town, many with the modern conveniences we expect today. 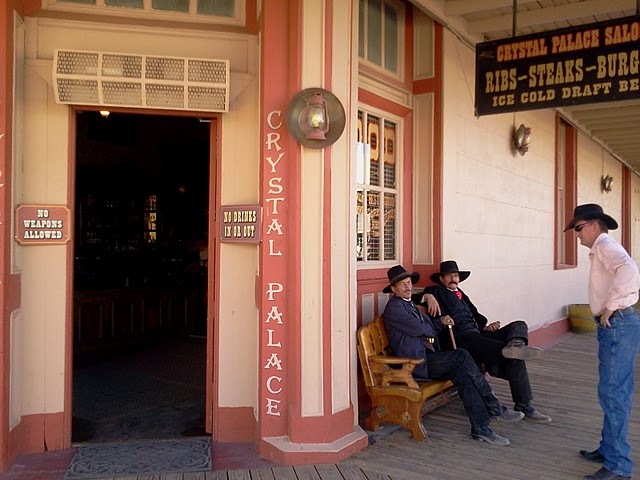 There are few and far between authentic feeling old west towns still going strong in 2011. We’ve been to a few – Winthrop, WA is another one I thoroughly enjoyed visiting. 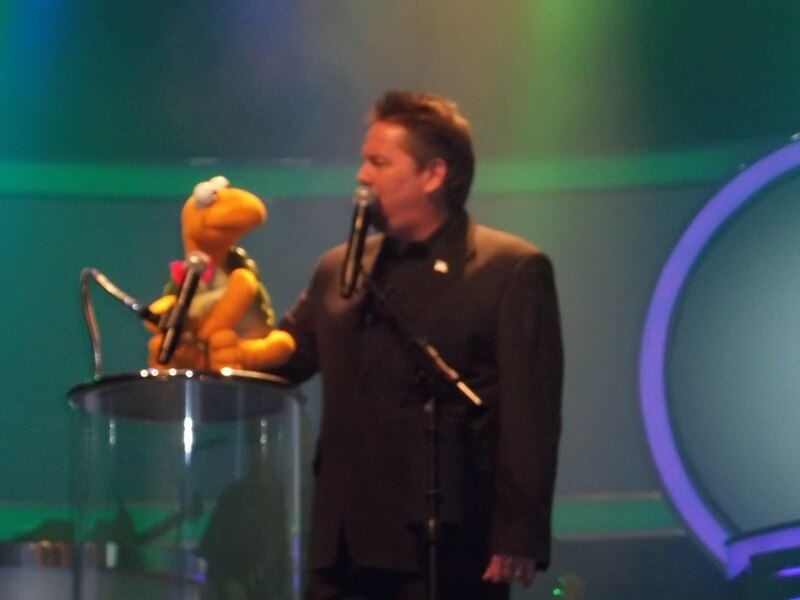 Terry Fator, the amazing ventriloquist who won the million dollar prize on America’s Got Talent a few years back. 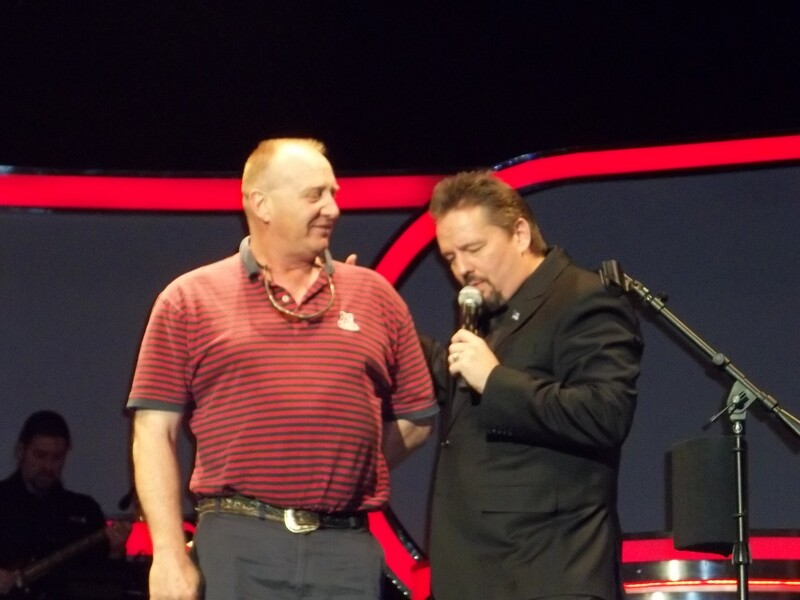 Terry Fator even called my Terry up on stage to do a Dolly Parton imitation – it was absolutely hysterical! Terry Fator was laughing so hard he could hardly sing the songs! 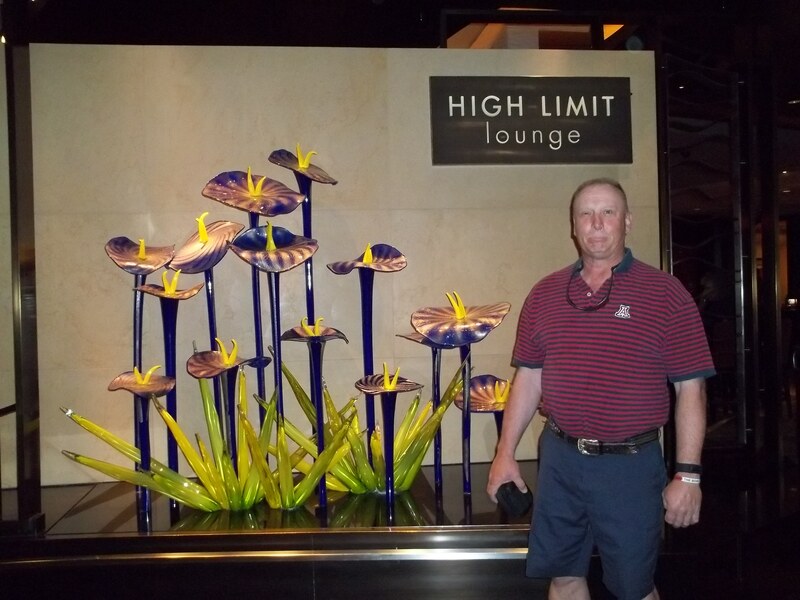 As one of the highest paid talents EVER at The Mirage Hotel & Casino we were thrilled at the opportunity. Thank you Randy & Jacqui for treating us – we had a blast! 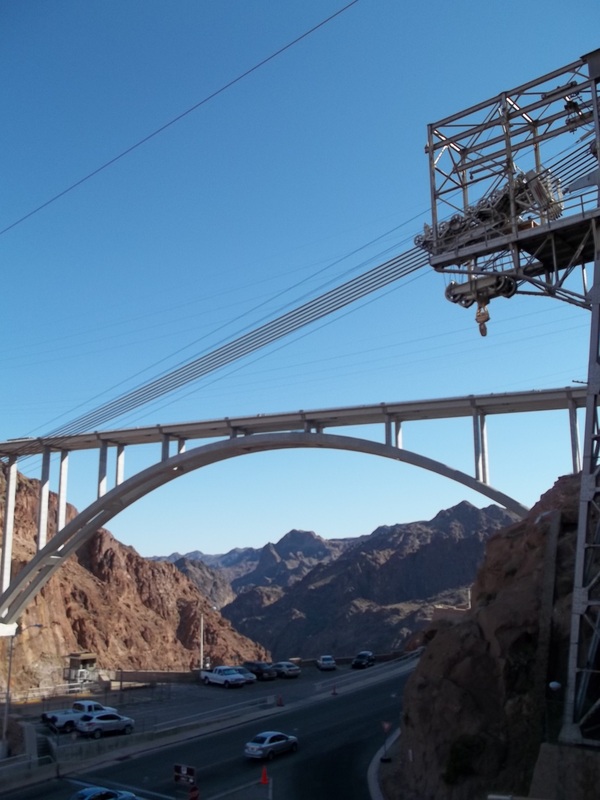 On the way to Vegas, we stopped for a quick visitor’s tour of the new Hoover Dam bridge on US 93 which recently was completed & opened to the public. Our previous trips to Vegas as truckers required us to use US 95. We hadn’t been in Vegas since 2006 when my son got married. With the new bridge memorial, parking garage and visitors center the whole area looks completely different. Be prepared to pay $7 for parking, go thru a security scan before entering the visitor center and pay yet another fee to enter the visitors’ center and take the dam tour. I was disappointed that we were unable to see the dam as we were driving across the new bridge due to the high concrete railings. Maybe from a taller motor home or big truck, we could have seen the dam, but in the economy car we were driving – our view was totally blocked – very disappointing. On to The Mirage Casino almost at the end of the LV Strip. Arriving at valet parking the first thing we saw were girls strutting around in bathing suits and high-heels on the arms of 21-year old males dressed to the nines themselves. The result of “business cards” handed out by the thousands every night – these hawkers even tried to hand Terry one in my presence – queue cojones! 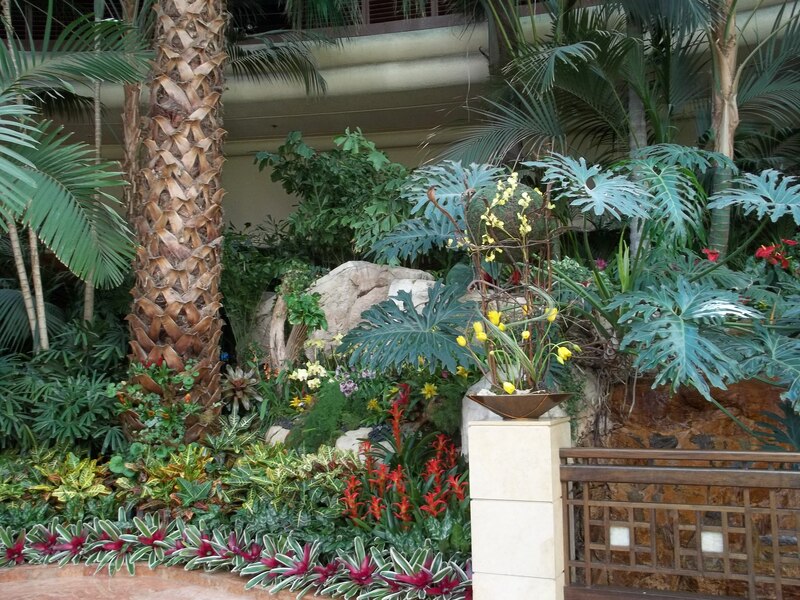 The lobby and our room at The Mirage were gorgeous – zen-like modern décor with 2 VERY comfortable beds and black out curtains. Got to be able to sleep in after a late night show! A pot of coffee from room service is $14 but there is a Starbucks downstairs. Our room refrigerator was filled with every munchy you could think of, but even picking it up places a charge to your room – so there was NO room for our healthy items brought from home. 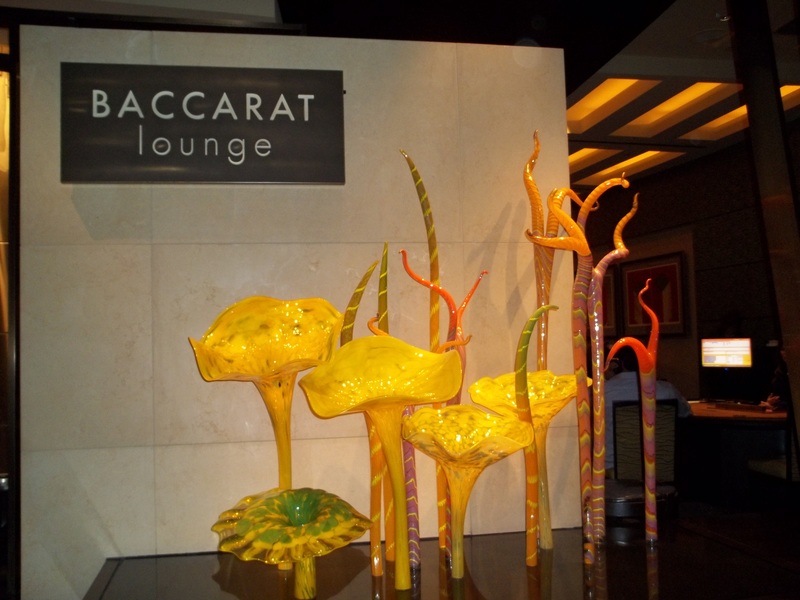 There were Chihuly glass sculptures in the lobby, lots of lush tropical foliage, waterfalls and many dining, gambling & drinking choices. If an RVer wanted to stay right on the strip in their own RV, there is a KOA behind Circus Circus. 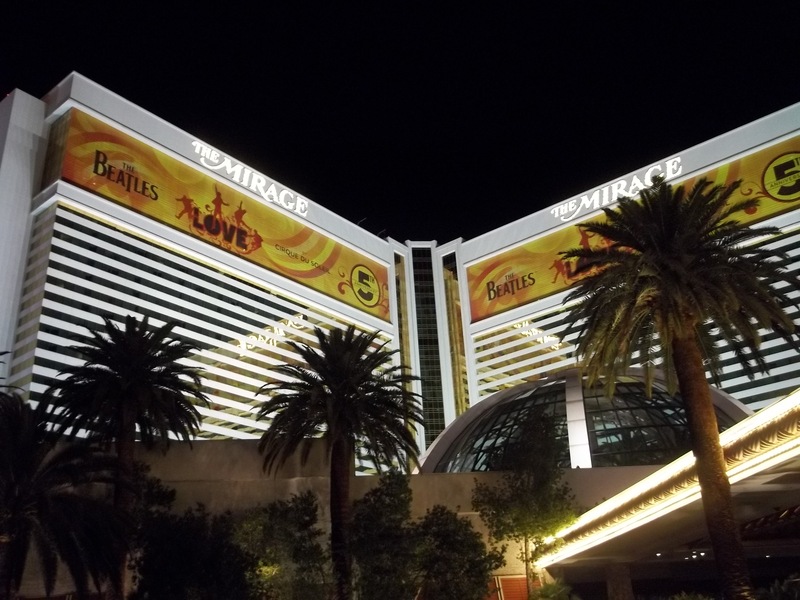 We took a taxi from The Mirage to Circus Circus for only $10 to enjoy the buffet. 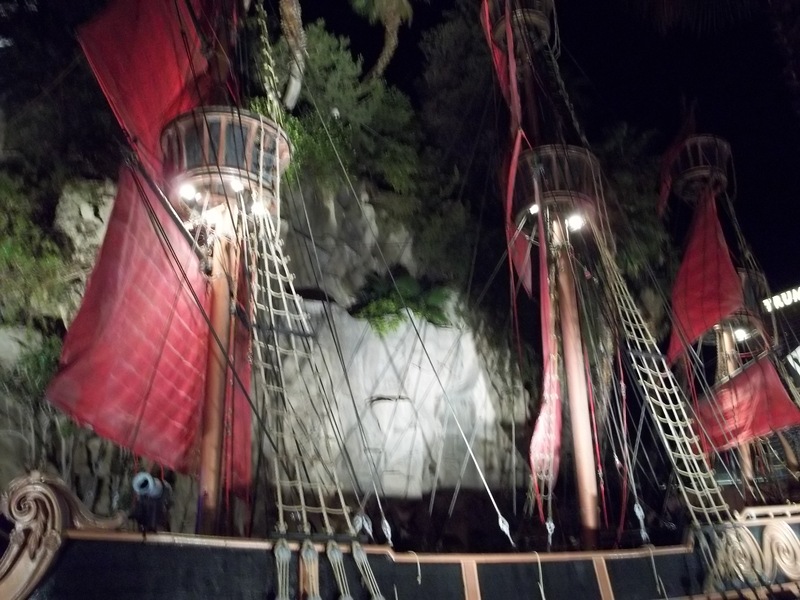 We also enjoyed Treasure Islands Pirates show – sitting behind glass windows in an open patio enjoying cocktails. TI provides a Tran ride back to The Mirage. 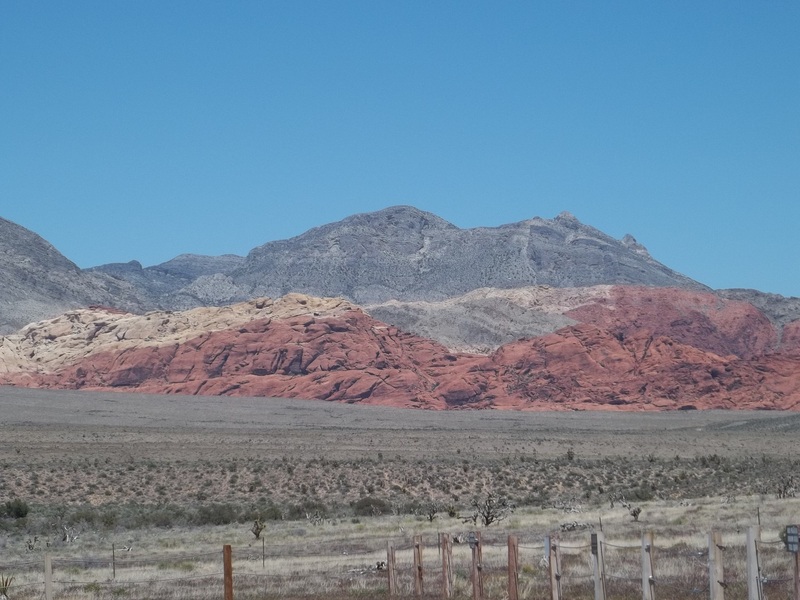 Randy & Jacqui encouraged us to take a side trip before leaving Las Vegas, so we drove out through Red Rock Canyon to Bonnie Springs Ranch just a few miles west of Vegas. The ranch is home to lots of birds, peacocks, a petting zoo and a family restaurant where we had a HUGE country fried steak. I even visited for a short time with owner, Miss Bonnie. What a charmer! She really enjoyed telling me how she took in Wayne Newton’s goats who had decided that living inside his home using the cat litter box was not the goats’ cup of tea! 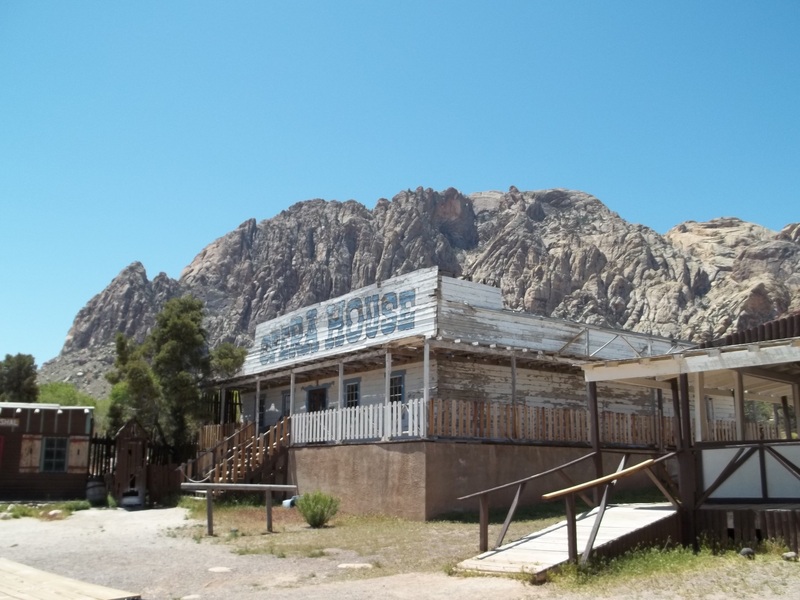 The Old Nevada mining town replica offers nice photo opps in front of weathered buildings, but THE RED ROCKS were really spectacular. 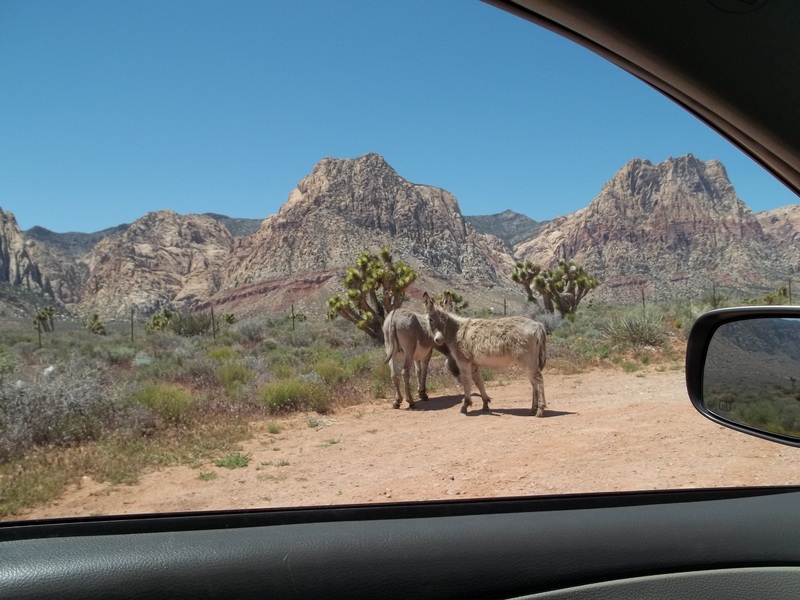 Big red rock cliffs such as seen in Sedona are the backdrop for Miss Bonnies’ farm and a pack of wild burros that freely graze the valley.